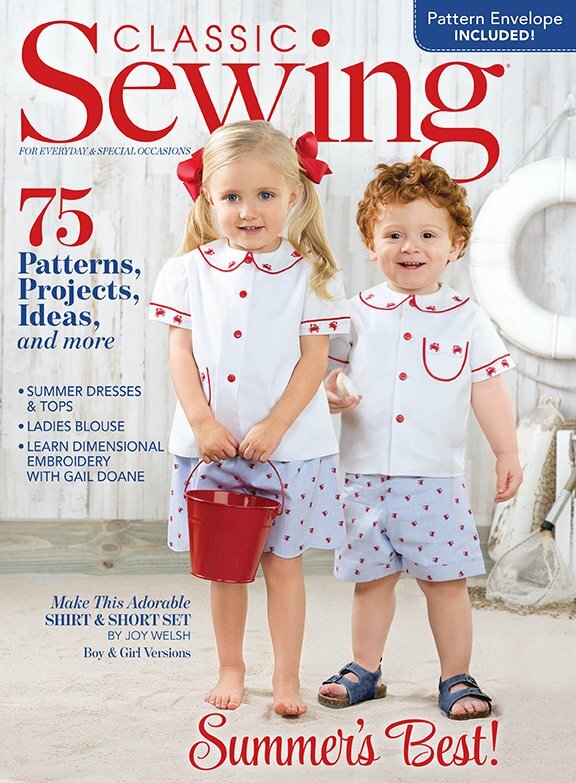 Classic Sewing Summer issue is chock full of ideas, garments, outfits, and techniques for your sewing pleasure. If you are looking for quick-to-sew ensembles or heirloom projects that take some time, this issue is for you. Our designers have presented summer sewing at its best with projects for all ages.